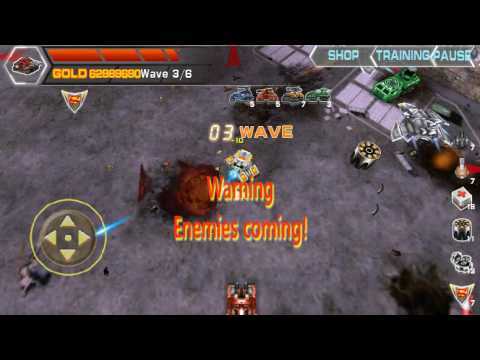 Tank VS Robot is a amazing science war game!The battle is high paced, giving to the tense, feeling refreshed.It have powerful weapons systems,such as rocket launcher,fire effect,missile tracking,entropic shield,etc...You can train you tank to promote the fighting force,and use kinds of props or call reinforcements to help you destroy enemy.The game is also easy to reskin and DIY weapons what you like. Level ediot: By chang the xml config. It's easy to reskin , for the UI you call use de NGUI atlas editor.The other gameobject you should edit on the unity editor.In Document.doc you can search detail information how reskin this project.